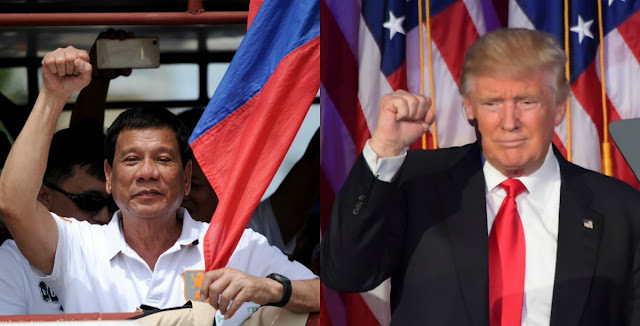 Home / News / Watch: President Duterte receives kudos from US President Donald Trump. Watch: President Duterte receives kudos from US President Donald Trump. 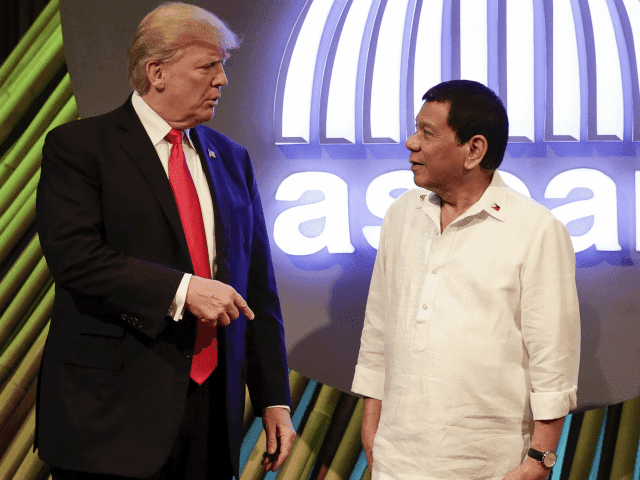 President Rodrigo Duterte received kudos from US President Donald Trump for his hospitality and impressive hosting at the 50th anniversary of ASEAN, which is the opposite of what was expected to happen. “Rodrigo, I would like to commend you on your success as ASEAN chair. At this very critical moment in time and in the association’s history, such an important event; and I wanna thank you for your incredible hospitality,” Trump said. The US President even thanked and commended Duterte for his special performance with Pilita Corrales. “And the show last night, the talent at that show, I assume mostly from the Philippines, was fantastic. Thank you,” Trump said. “And you were fantastic also very much from the Philippines. We couldn’t tell the difference,” he added. 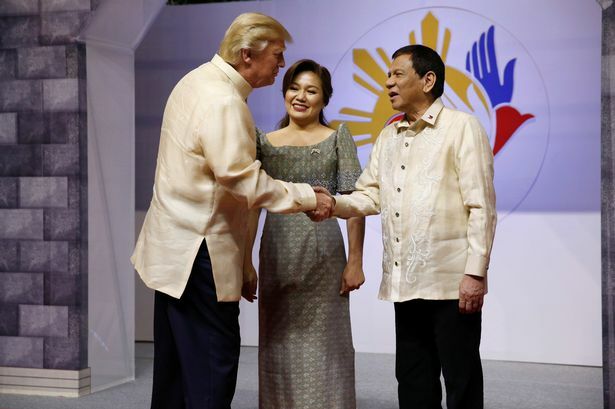 Because of Trump’s wonderful experience with Duterte at the ASEAN summit, he committed his country on their ASEAN’s role as a regional forum of total cooperation which made him proud to represent US at the ASEAN summit. “This diplomatic partnership advances the security and prosperity of the American people and the people of all Indo-Pacific nations,” Trump said. “We gather today at a time of great promise and great challenge I speak to you on behalf Speaking on behalf of 350 million Americans with a message friendship and partnership,”the US President proudly added. 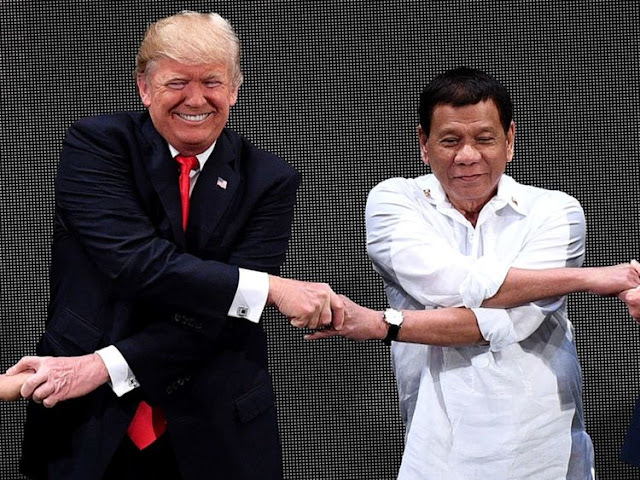 According to Trump, his attendance at the ASEAN summit is to extend his hands and advance peace to promote security and to work with the ASEAN. “I’m here to advance peace, to promote security and to work with you to achieve a truly free and open Indo-Pacific where were are proud and we have sovereign nations and we thrive and everybody wants to prosper,” Trump announced.